State Rep. Mike Driscoll (D-173rd dist.) last week visited VisionCorps for a walkthrough of the nonprofit organization’s facility at 10360 Drummond Road. Driscoll addressed employees and met with president/CEO Dennis Steiner, director of manufacturing George Tobler and director of services Carolyn Madison. Steiner and Tobler traveled from the agency’s Lancaster headquarters. 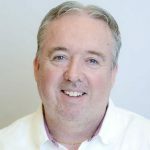 Driscoll said he hopes to identify funding for VisionCorps, which has worked for decades to empower blind and vision-impaired individuals through employment opportunities and rehabilitation programs. He noted that Gov. Tom Wolf planned to begin the 2019-2020 budget process with an address to lawmakers this past Tuesday. VisionCorps, in existence since 1926, empowers its employees by placing them in positions from manufacturing to management. During his visit, Driscoll saw workers in a warehouse producing 55-inch delineator posts that are packaged and sent to PennDOT districts for installation on the Pennsylvania Turnpike and other roads. 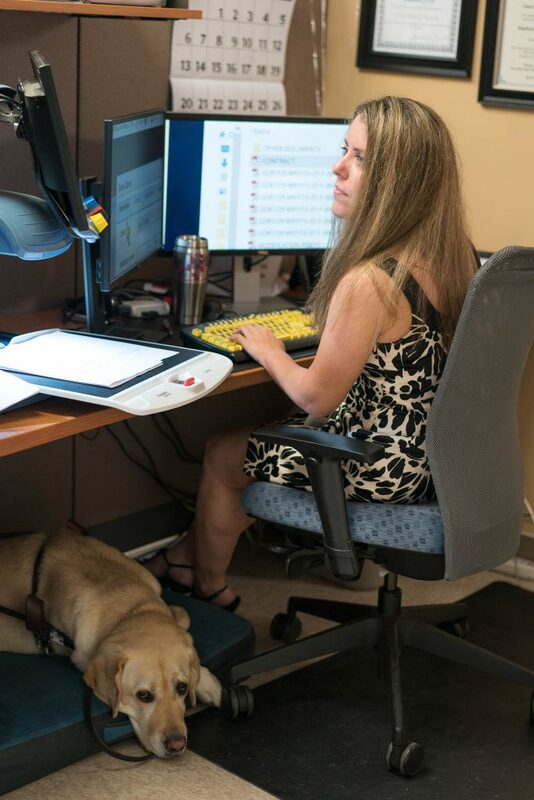 The office staff use assistive technology, specifically the Job Access with Speech (JAWS) program, and brainpower to make calculations in their heads to complete spreadsheets. Outside of the office, a handful of the employees are part of a Beep Baseball team. Madison, who has overseen the Drummond Road office for three years, praised the 22 employees for their attendance records, adding that snow and other impediments don’t keep them home. Driscoll will look to team with VisionCorps as it seeks to expand its business by asking Leslie Richards, secretary of the state Department of Transportation, for more work that is presently done by PennDOT subcontractors. Its prices are competitive, VisionCorps officials say, adding that the employees’ reliance on their hands makes them more efficient. More work for VisionCorps would help lower the unemployed and underemployed rate of 70 percent among blind people.